When I was about 7 or 8, instead of playing with dolls or Sun Tan Barbie (that really gives away my age!) like other little girls, I played restaurant. My sister and I would transform our tiny little bedroom into an elegant five-star restaurant, preparing saltines for food, and water or lemonade for tea. Our little brother, Cameron, would be the waiter, my sister would volunteer to be the restaurant patron (she loved the saltines) and I of course was the Chef. Our little five-star restaurant served a lovely variety of dishes, always in the form of a cracker of course. 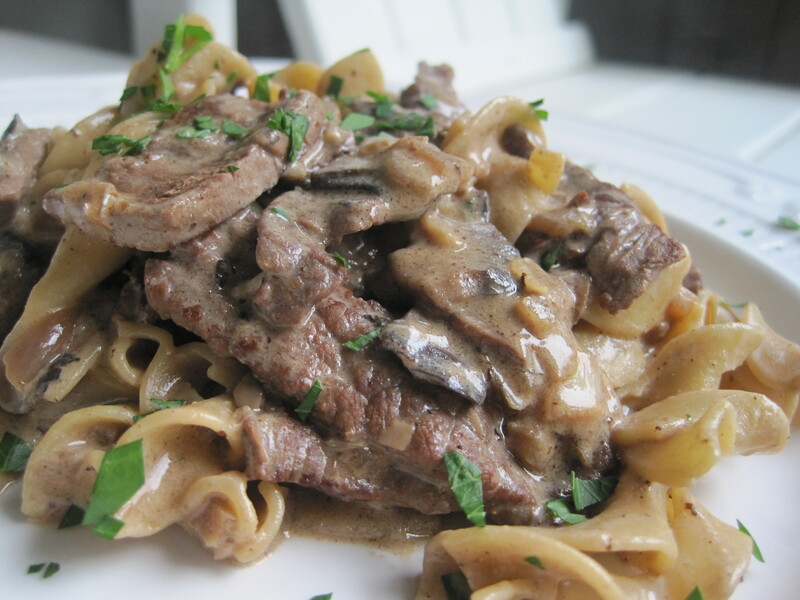 One of my favorite recipes to create was Beef Stroganoff. Not only was Beef Stroganoff one of my favorite weeknight meals as a child, I just loved saying the word “Stroganoff”. At the time I thought it sounded very “Chef” like. To this day my love of Beef Stroganoff continues. This particular recipe is adapted from several recipes I found over the years. 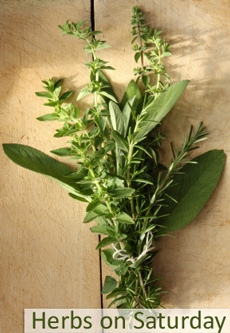 I’ve chosen to include garlic, which isn’t traditional, as well as a mix of delicious herbs. The end result… a simple, flavorful and exquisitely delicious dish. Most Stroganoff recipes call for thin slices of beef tenderloin, however, in a pinch I’ve used other cuts of beef such as a sirloin, and rib eye that I pounded thin and cut into strips. *Check out the Beef Stroganoff recipe in the comment section. It’s another fabulous version of this delicious dish but dairy free! Season the meat with salt and pepper. Heat a medium to large skillet over medium high heat with a few tablespoons of high heat oil such as sunflower or safflower. Brown the meat in batches and then transfer to a platter. In the same skillet, add a little olive oil if needed and sauté the shallots for a few minutes until wilted. Add the mushrooms and then the garlic and sauté a few minutes more. Stir in the wine and reduce until almost evaporated. Add the fresh herbs, Worcestershire sauce and beef broth. Then, whisk in the cornstarch mixture and cook until heated through. Turn the heat down to low and stir in the sour cream, and then add the slices of beef. Let the stroganoff heat thoroughly but not boil, and season with salt and pepper to taste. Fold in the egg noodles with the stroganoff and serve on a platter or individual plates garnished with additional fresh chopped herbs. A family favorite of ours too! Recipe is similar to what I do, though, I havn’t used red wine in it yet….it’s so obvious! Thanks for the tip! 🙂 The red wine really boosts the richness of the sauce, it’s so yummy! Thanks for your comments Sheri! 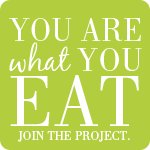 I’ll have to stop by your blog soon, always love your recipes too. Happy Cooking! My friend Ann prepared a Beef Stroganoff tonight and I’d love to share her recipe. This recipe leaves out the sour cream for a lighter and lower calorie Beef Stroganoff. A fabulous alternative for us die hard Stroganoff lovers! Melt butter in large frying pan, add broth, tomato paste and let simmer. Add flour and stir to thicken. Add ½ cup of water if mixture gets too thick. Whisk in mustard. Add beef, onions and mushrooms and simmer about 20 minutes.